Pamela Mann Palm Tree 49 tights. 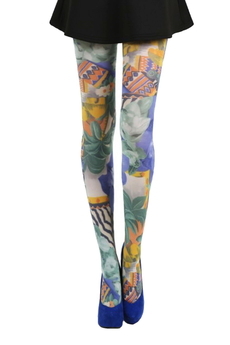 These colorful printed tights will brighten up any outfit. One size, fits Small, Medium and Large. Composition: 95% Nylon, 5% Elastane. Color: Multi.